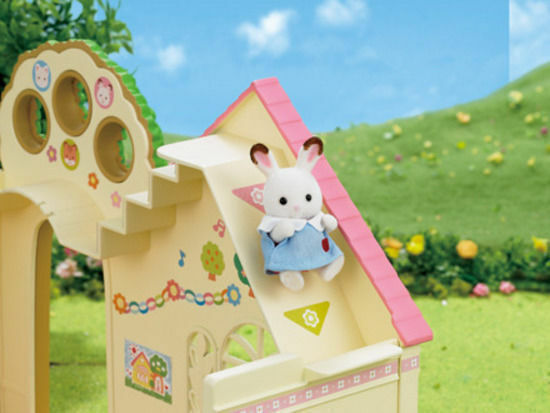 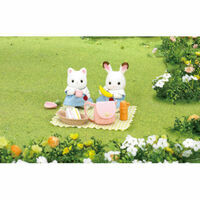 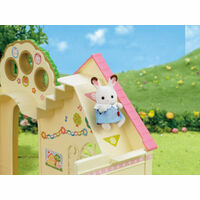 This pretty pink and cream building is the perfect place for your Sylvanian babies to spend their day! 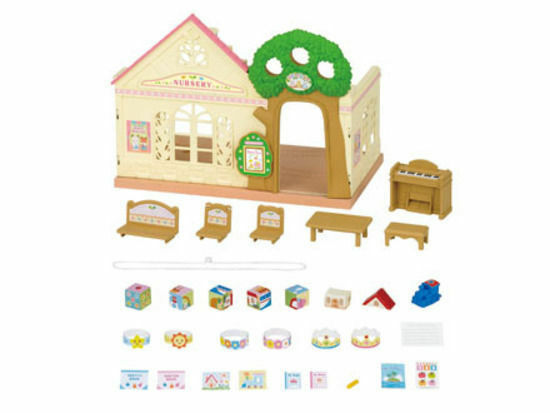 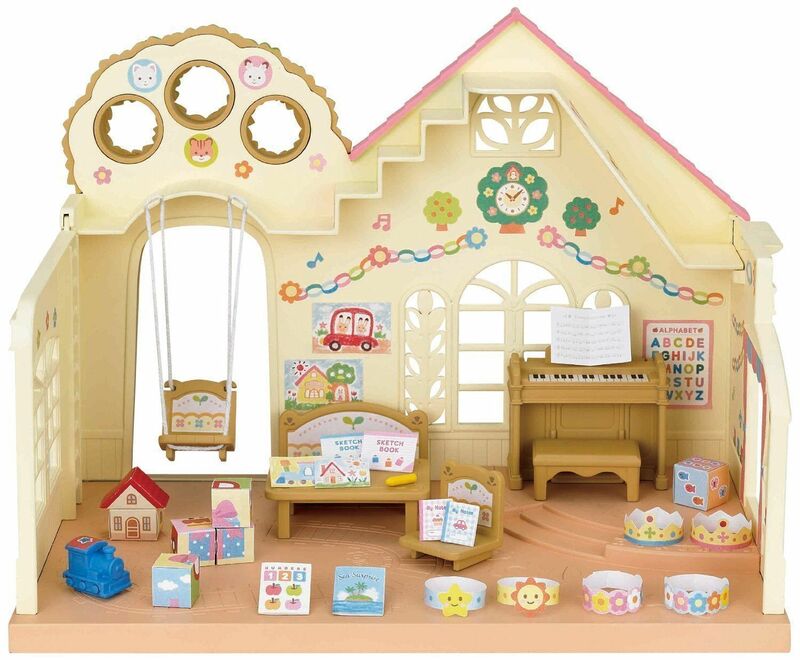 Complete with a piano and stool for a lovely sing-song, it also includes toys such as building blocks, a playhouse, a choo-choo train, 8 books, a pencil and even 6 tiaras for dressing up. 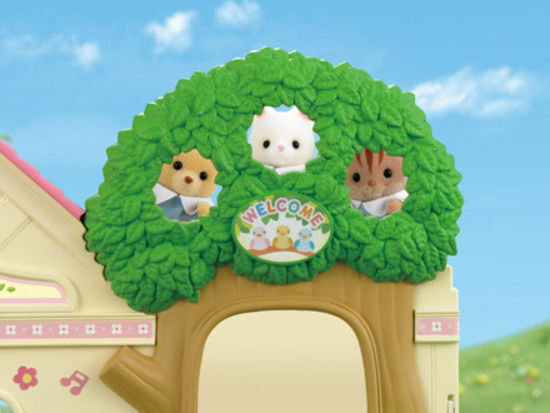 For your more energetic Sylvanian babies, there's a swing, and they can even climb up on the pink rooftop and pop their heads through the holes in the tree to look at all the beautiful surroundings! 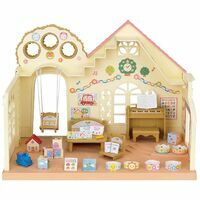 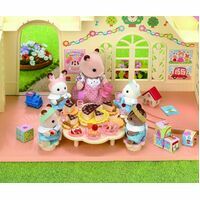 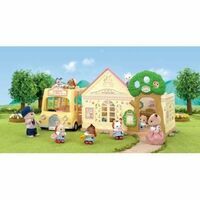 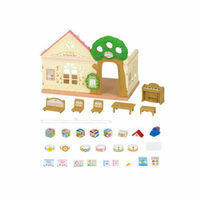 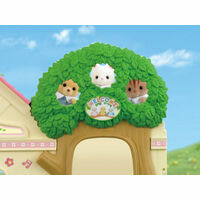 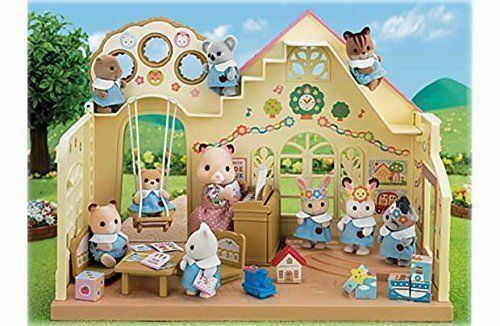 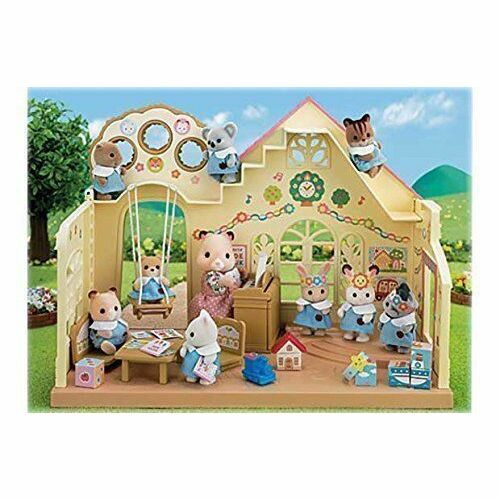 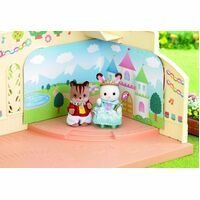 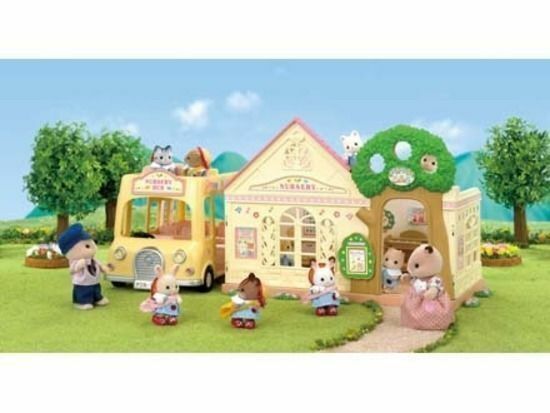 Any Sylvanian would be happy as a lark in this lovely nursery environment.